Interior/Exterior Painting. Residental and Commercial. Want to connect with Natur? Be it your work place or your home, ultimately these are the spaces you spend the most of your time in. By carefully choosing the right Eco-Friendly painting products, colours, and patterns for each surface, we can create an environment to stimulate, energize and bring peace of mind into your life, to conquer the stresses from an overwhelmingly hectic society. 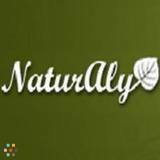 Visit Naturaly..... for more details.